I headed west from Ontario to photograph the birds in this area of BC. I was blessed with many magical moments with red necked grebes, horned grebes, bonapart gulls, ruddy ducks, virginia rails, great grey owls and more. 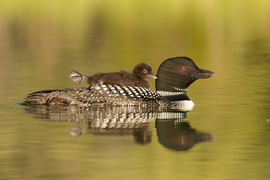 Many with their young. 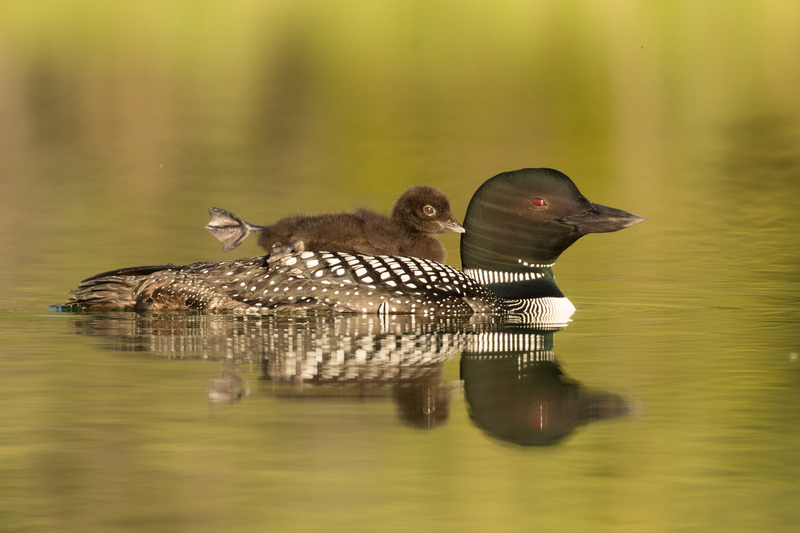 But this morning, during the golden hour, a common loon and her chick swam into the beautiful light. The chick had been asleep on mom's back, but woke and proceeded to have an early morning stretch, much to my delight! Visit Diane's photography website to see more wildlife photos! I realized my passion for photography, when in 2004, i explored the possibility of this as a hobby for my retirement. After a year of playing with my camera on automatic, i started getting more serious, taking photo workshops. Meeting other photographers during these adventures, led me to join two camera clubs in my then hometown of Vancouver. There was no turning back! It turned out to be one of the best things ever for me! I love how photography allows me to also explore the many creative and adventure opportunities that this hobby provides. But, I have found my ultimate passion in nature, specifically wildlife photography! 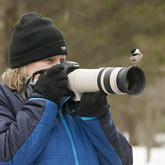 Discover ways to view the wildlife of Canada!